Be sure to read the FAQ below, and download the order forms, or contact sales@energysoft.com to purchase. Can I keep EnergyPro 6 on my computer once I install Version 7? Yes, we encourage you to leave version 6 on for a least a year to deal with revisions to older projects. Can EnergyPro 7 read older files? EnergyPro 7 can read all Version 5 and Version 6 files. When does EnergyPro 7 go into effect? EnergyPro 7 is designed for the current 2016 code which took effect on January 1, 2017. Is it harder to comply using this new version? Yes, the 2016 code is tougher than the 2013 code, so compliance is more difficult. Be sure to go to the Support section of our website and look at the FAQs there. 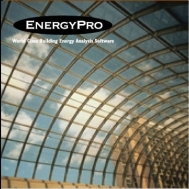 I currently own an older version of EnergyPro, will I have to pay full price? No, existing users will get a substantial discount on the new version, as in the past. How do I get the discount on the new version for existing users? Please see the EnergyPro 7 Update Order Form. You must contact sales@energysoft.com, our online ordering system will not assign a discount.